Apart from causing economic losses, environmental crime is a serious and growing international problem that has devastating effects on environment and human health. Some actions that could be consider as environmental crime are the illegal killing of wildlife, use of poisoned baits, habitat destructions, illegal trade in wildlife, emission or discharge of substances into air, water or soil, illegal trade in ozone-depleting substances or the illegal shipment or dumping of waste. At the same time environmental crime provide for very high profits for perpetrators and relatively low risks of detection. These kind of actions needs to be tackled at European level. 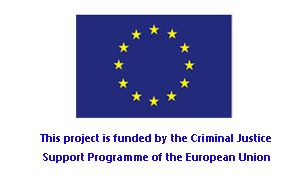 In 2008, the EU adopted Directive 2008/99/EC on the protection of the environment through the criminal law, to be implemented in Member States by December 2010. This Directive establishes measures relating to criminal law in order to protect the environment more effectively. In the experience of the various BirdLife International partners the implementation and enforcement of this Directive is not the same in all EU Member States, creating a situation of inequality and the perfect opportunity for offenders to exploit the existing differences between Member State’s legislation to their advantage. The effective enforcement of environmental law is vital to any protection regimes that are designed to protect the environment. SEO/BirdLife and the rest of BirdLife International partners as NGOs play a key role in the enforcement of environmental laws and they are actively engaged in the criminal justice system to defend the conservation of Environment, as a legal good to be protected. NGOs invest significant financial, human and reputational resources in fighting environmental crime. These actions are often the ones that are produced in Court because the government rarely acts in criminal proceedings. Furthermore, it is necessary to improve the implementation of EU legislative instruments by way of networking and exchanging knowledge and best practices among lawyers working to protect Environment, increasing mutual understanding between the different law systems in the Member States.